Happy Saturday, everyone! This week for Inspiration Saturday I’d like to talk about a cooperatively-funded project that I think is wonderful… both the project itself and the way it came about. If you aren’t familiar with Deborah Robson, she teaches a free, mini-course on Craftsy (“Know Your Wool”) and she’s one of the co-authors on The Fleece and Fiber Sourcebook, which as you know is my go-to resource for sheep-related information for my personal spinner’s study. She is a fantastic writer, a thorough researcher, and she’s contributing enormously to our understanding of sheep breeds from a biological, historical, and ecological perspective. As a scientist myself, I have a giant crush on everything she writes. It’s informative, interesting, and important work. It also costs money, which is where this e-book of patterns comes in. 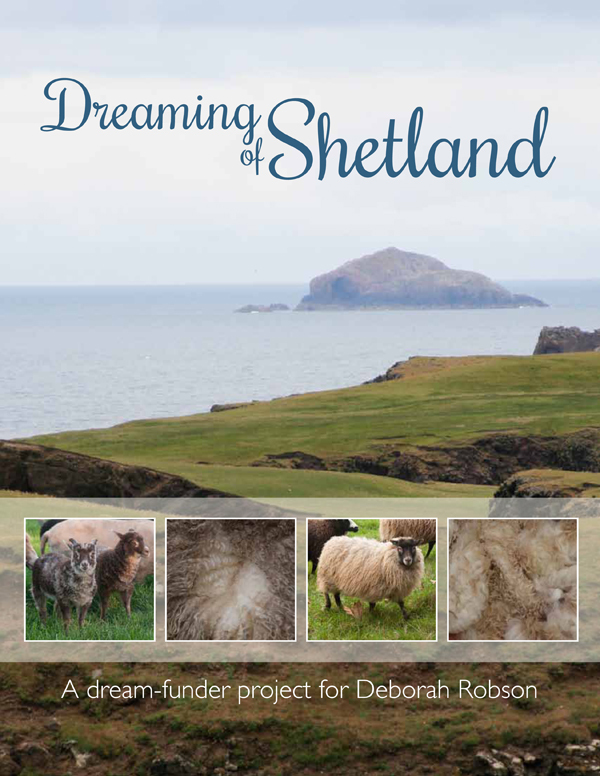 Here’s an older blog post and a more recent blog post she wrote on the topic, plus a summary of why she’s focusing on Shetland sheep. I find both her work and the fact that dozens of designers donated their time and effort to raise money to support her work equally inspiring. What’s been inspiring you, lately? This entry was posted in blogland, InspirationSaturday, sheep by shoelaceswitcher. Bookmark the permalink. Those mitts are lovely! My inspiration this week is being one step closer to sewing by bookmarking sewing patterns. Your new website is awesome. You are really moving up in the world! I love those mitts. Yum.